Friday 23 November I attended the launch of the H21 North of England (H21NoE) – on a cold winters day. The topic was decarbonising heating/cooling in the UK by means of hydrogen, also providing hydrogen for power balancing and supplies for other sectors like transport. The initiative is brought forward by Northern Gas Networks, Cadent Gas and Equinor. 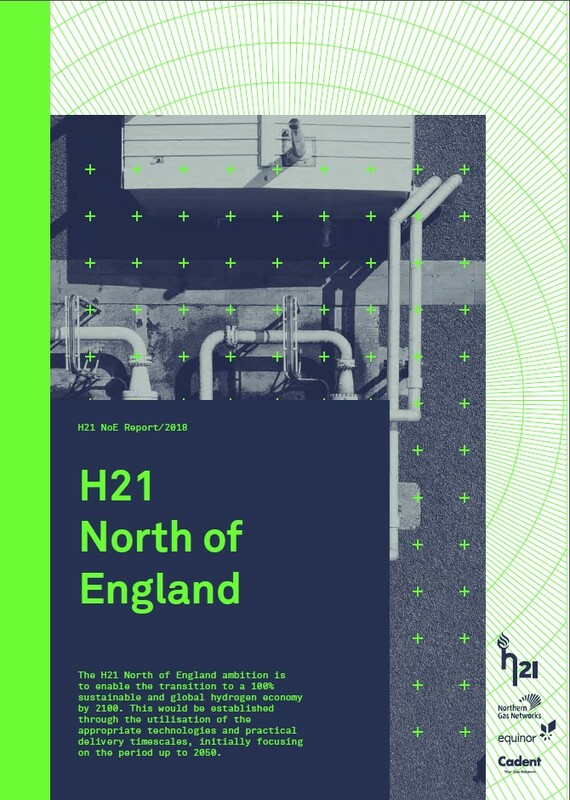 Leeds by night: H21 North of England report proposes conversion will begin in 2028, with expansion across 3.7 million properties in Leeds, Bradford, Wakefield, York, Huddersfield, Hull, Liverpool, Manchester, Teesside and Newcastle over the following seven years. (Picture: Shutterstock). Entering the Institution of Mechanical Engineers premises in One Birdcage Walk I was filled with awe. It happens every time I am there, I am a mechanical engineer and the history of this building is unsurpassed. The first chairman was George Stephensson, you know the guy with the steam engine and trains. Names like Whitworth, Wright, Ricardo and Whittle stare down on you. Certainly the right place to present such new ideas. The theatre was packed with people, many armed with the 2kg report which the project has produced to check the feasibility of this endeavour. And on the left wall a huge painting of George Stephenson, with rails in the background and massive amounts of smoke, no doubt from coal firing of the steam locomotive. This was the sign of progress, industrialisation, welfare and prosperity, the very beginning of the fossil fuelled industrial revolution. You can hardly see the blue sky behind Stephenson. 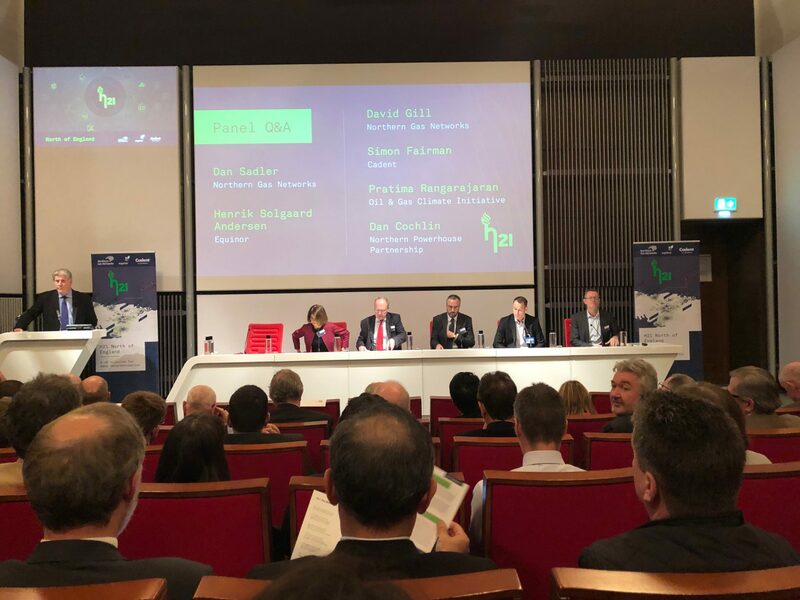 The project presented the idea behind H21NoE which is to convert huge amounts of natural gas to hydrogen, separate the CO2 from the reformed gas and use hydrogen to heat, cook, power and transport the UK. And storing the CO2 safely deep below the surface- at 2-2500 meters depth in saline aquifers. Not singlehandedly but the initiative could be a significant contributor- removing about 20 million tons of CO2/yr from sectors that are really hard to decarbonise. How do you decarbonise a country where 90% of all houses and businesses are using natural gas to heat and cook? You could strengthen the electricity grid and operate with heat pumps, provided the electricity is all renewable. Now, the Uk has a substantial network for natural gas and this provides 540TWh of heat in England. At present, renewable power production amounts to 83TWh, about 30% of electricity production in UK. So it seems urealistic to go the electricity way alone, it must have a companion, and that is hydrogen. Produced sustainably from natural gas with CO2 storage, capturing 94% of the inherent carbon content in the natural gas and counting. The emission intensity of heat is then estimated to be around 14,5 gCO2/kWh, this is slightly below the average Norwegian electricity mix of 16 g/kWh- and Norway is 96% hydropower. Hydrogen will be stored in salt caverns and clusters of salt caverns- or as ammonia. The cost estimates for households are estimated to be about 7% above the present energy bill. So the prospect is really good for such an initiative, given that we want to invest in this as a future technology. So the prospect is really good for such an initiative, given that we want to invest in this as a future technology. On the same day we received more evidence of human global warming, record average CO2 levels are reported of 406 ppm of CO2 in the atmosphere. Nobody born from now on will ever see below 400ppm in the atmosphere. So we continue to be clever in building stocks of CO2 in the atmosphere. For all practical reasons that is what we do, the residence time of the most prominent greenhouse gases (like CO2) will operate for hundreds of year providing the greenhouse effect. What we should do is to reduce the stocks of CO2, but the ballon picture still applies, the ballon is getting bigger every year, even if we level off emissions. And amids this, we, the planet stakeholders are still discussing which technology we should use, is it cost effective, is it the perfect solution, is it optimised.. There is no end to how many arguments you will see providing us the notion that we have to choose between options, we have plenty of time and that there is the perfect solution to be found somewhere. For the H21NoE there is the immediate response that this is the oil and gas majors smart plan to continue with an unsustainable activity. And that we should rather base such schemes on sustainable zero marginal cost hydrogen produced from surplus renewable electricity to be found in a miraculous way in the near future. It is the rather issue which concerns me, we need both. And the cost for electrolysis hydrogen will probably become equal to sustainable hydrogen from natural gas with CCS in selected areas within say 10 yrs time. Want to learn more about SINTEF’s research on CCS? Have a look at Norwegian CCS Research Centre. But price isn’t the point here- it’s the scale of the operation. We need to adopt the hydrogen society idea now, the sooner the better, and for real. There will be no climate stabilisation without the hydrogen society. The H21NoE shows that hydrogen can be produced at scale and become a significant contributor to the net zero emission society. There will be no climate stabilisation without the hydrogen society. Why should we care at all about the supply of the hydrogen to this system as long as it is sustainably produced? And at scale. Together with this development we will also deploy large scale CO2 infrastructure for transport and storage. Nobody has yet explained how we can decarbonise our societies without having access to underground storage of CO2. For industry, for climate positive solutions (called carbon negative solutions like BECCS) or for the more exotic air capture technologies which we will need in the future according to the latest IPCC reports and for anybody doing studies of a net zero emissions world by 2050 or 2040. The Hyper project addresses valorisation of Norwegian renewable and fossil energy resources for decarbonised hydrogen production aimed for export as well as national utilisation. Filibuster tactics will not do: we have seen this played out in Europe the last 15 yrs on CCS and CCU (the latter meaning utilisation and not necessarily with a storage element). Even a child understands that putting something under a carpet for a short time and then release it will gain no net effects. But due to the lobbying efforts this is displayed as the solution rather than storing and isolating CO2 from entering the atmosphere. This is not helping the climate issue- it confuses clear action and politics and has delayed action for 10 years in the CCS field. Make no mistake- it’s perfectly good to reuse CO2 – it may even be profitable. But if it is reemitted to the atmosphere it does not help to mitigate global warming. We need CCUS – and without the Storage element it is only good for anything else than climate. I am afraid that the same paralysis will hit Europe again with the hydrogen issue. People are talking about the colour of hydrogen- giving sentiment to green versus blue, grey even black hydrogen. Hydrogen is colorless and is either produced sustainably or not. We cannot differentiate between sustainably produced hydrogen and sustainably produced hydrogen. We should use the designation clean hydrogen and forget about the colours, if it is produced sustainably it’s clean hydrogen. And we need clean hydrogen from electrolysis and from natural gas with CCS. And just think of Stephenson, this great British engineer who was such an important contributor to the industrial progress which has served us so well in building our societies. Let’s put up a painting in the future of a hydrogen pioneer on the right side of the lecture theatre in One Birdcage Walk. With a clear blue sky behind her or him- and rails, trucks, cars, industry and zero emission homes in the background.